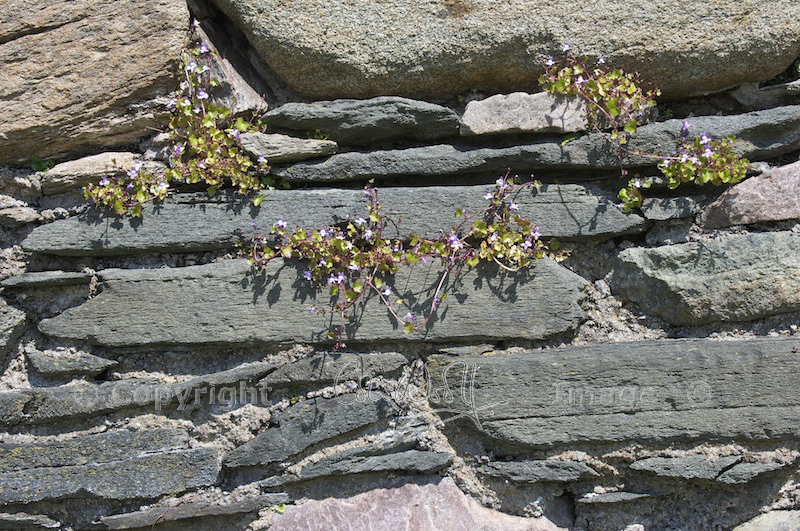 When you approach Kilmory Knap Chapel down the path that leads between some cottages and farm buildings, you’re struck by its simple beauty: a crumbling rectangle of grey and pink stones, a huge oak door deeply recessed into the thick walls and the entire building thrown into soft focus by the tendrils and blossoms of ivy-leaved toadflax. Admittedly, our visit was blessed with the kind of weather that makes all historical sites seem other-worldly: cloudless blue sky, and a warm breeze floating in off the sea. 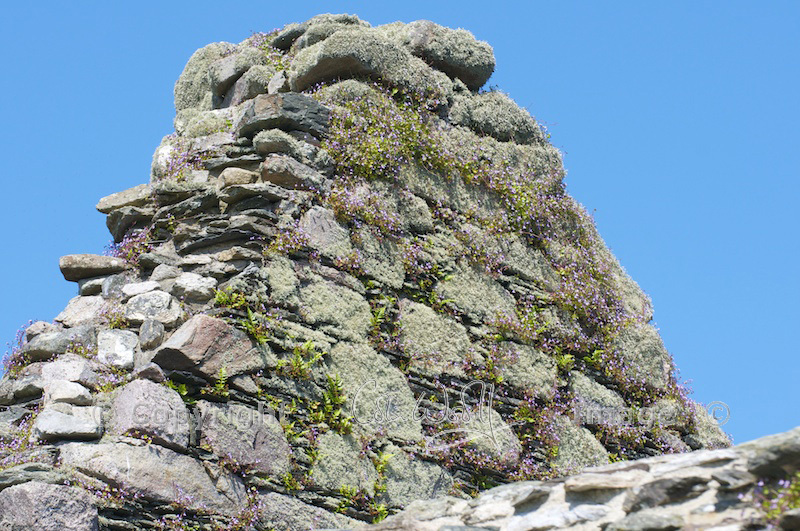 But tiny ferns and feathery-soft lichen have secreted themselves in all the crevices, making the walls into a vertical rock garden and proving (in case we didn’t know already!) that the climate here is more than a little damp. Kilmory Knap Chapel sits on a low headland at the entrance to Loch Sween, a sea loch that takes a long and ragged bite out of the coast of Knapdale. Looking seawards, on the horizon to the south-west are the Paps of Jura, and to the left of them is the flatter profile of Islay. This gorgeous little 13th century chapel is photogenic from all angles, and we took a while to walk around the graveyard before going inside. On the western boundary is a low stone plinth, with a notice saying that it was once the base of MacMillan’s Cross. In its original setting, I believe that this cross would have been visible from the sea. It was moved inside the chapel in 1981, to protect it from the weather. 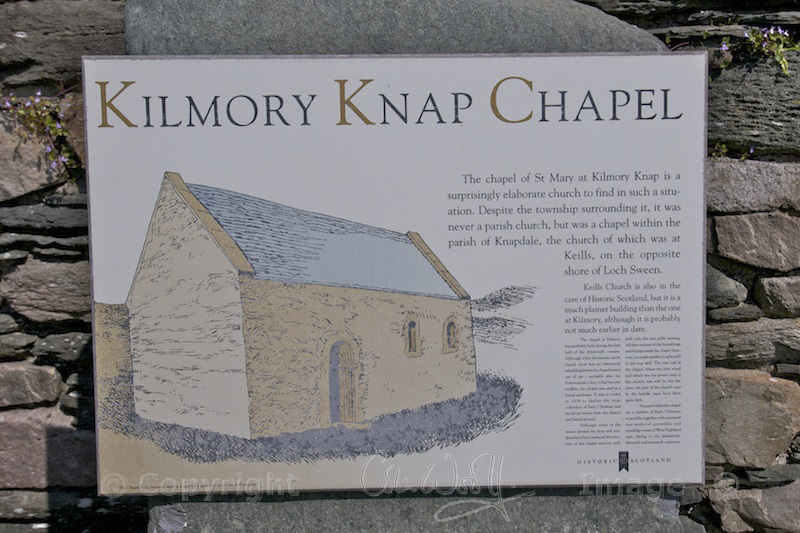 Where does the name ‘Kilmory’ come from? The prefix ‘Kil’ comes from the Gaelic ‘cille’, meaning ‘church’. 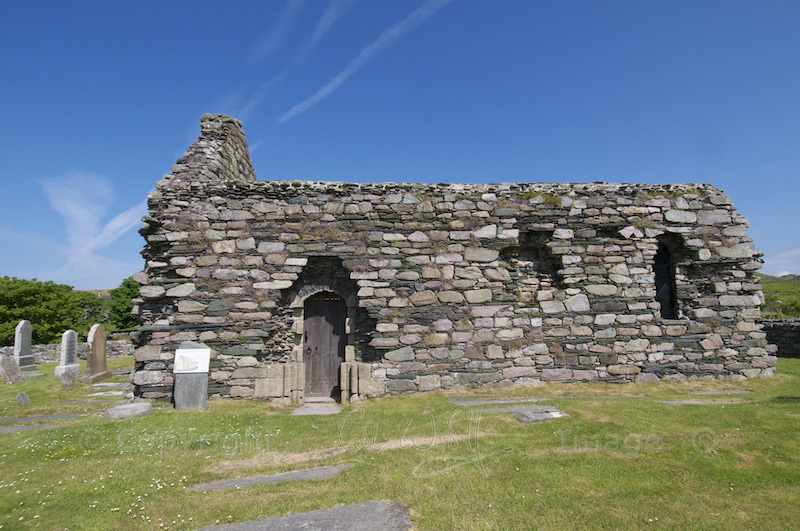 ‘Mory’ may derive from St Maelrubha, an Irish missionary, the same 7th century saint whose name is linked with the small church at Kilmore which I wrote about recently. 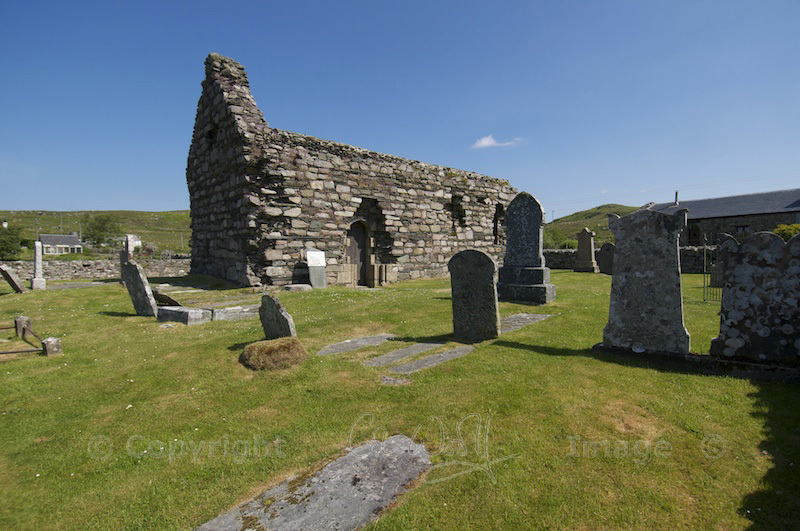 This suggests that there may have been a church at Kilmory much earlier than the 13th century. 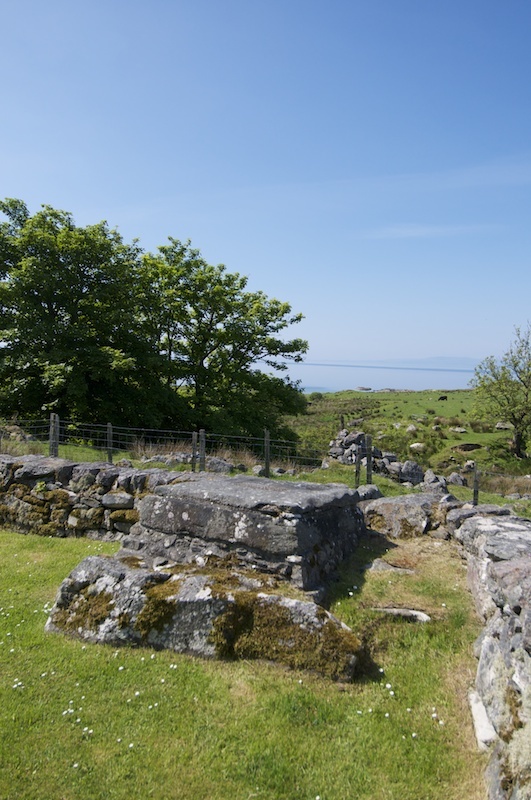 I believe ‘Knap’ comes from the region of Knapdale, which also gives its name to clan Macmillan of Knap. 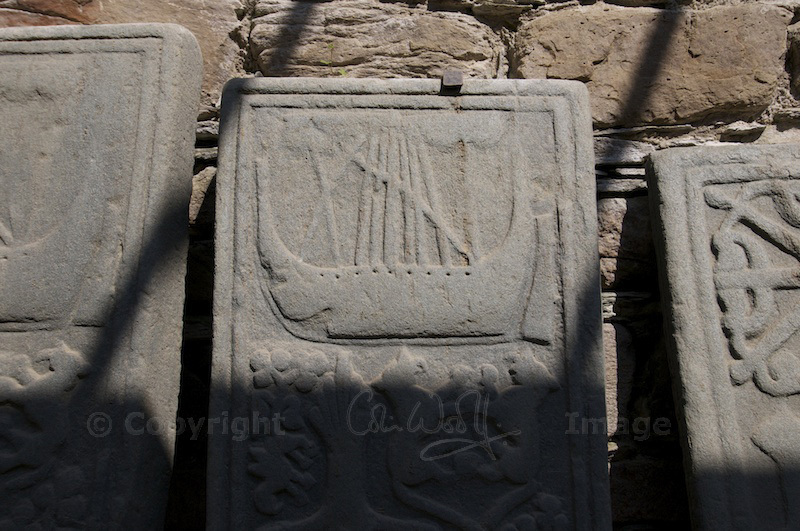 The graveyard contains stones both ancient and modern, even the more recent ones beautifully carved with inter-laced ‘Celtic’ designs, and some revealing the person’s deep love of the sea with pictures of ships at sail. 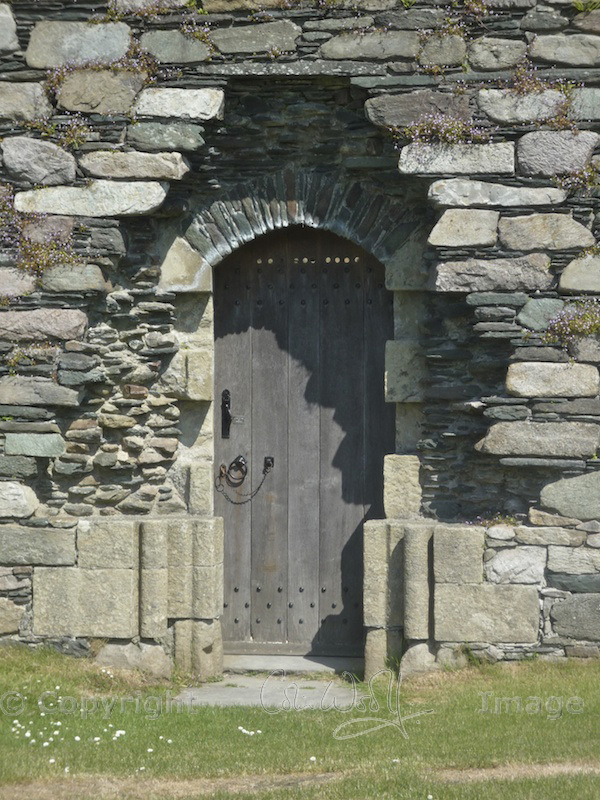 Returning to the one and only entrance, we turned the key in the huge oak door and pushed it slowly open. What we saw stopped me temporarily in my tracks, not least because of the dramatic shadows being cast by the beams in the glazed roof. 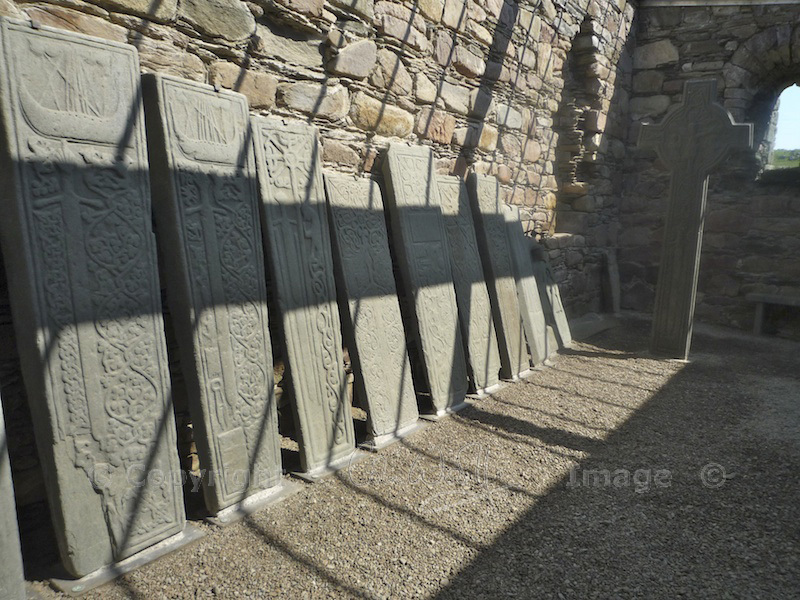 Carefully arranged around the walls, almost like a silent congregation waiting for a forgetful vicar, are about 30 medieval grave slabs, some bearing an effigy of a knight in armour, others inscribed with life-size swords. Of course, they have only been placed here in the last century or so, having been recovered from the surrounding graveyard, but the feeling is at once serene and intense. 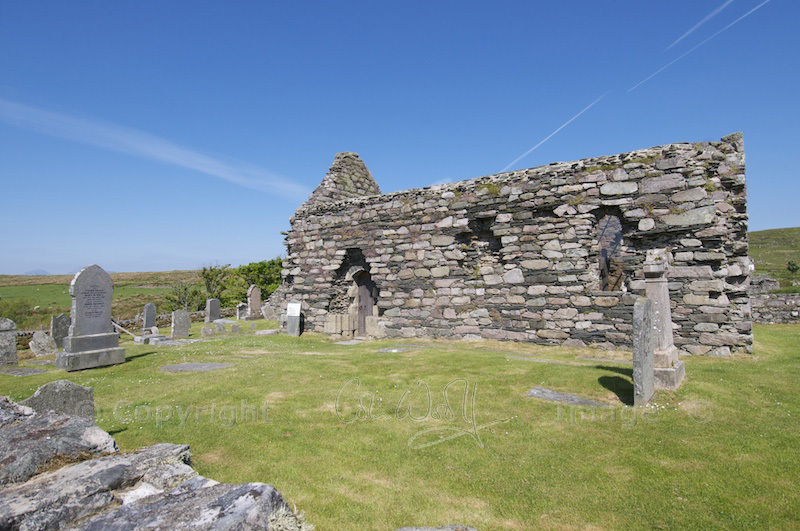 To the left of the entrance are the oldest stones in the chapel, dating from early Christian times – evidence, according to the very convenient little information boards that you can carry around with you, that there was a community here before 1000 AD. 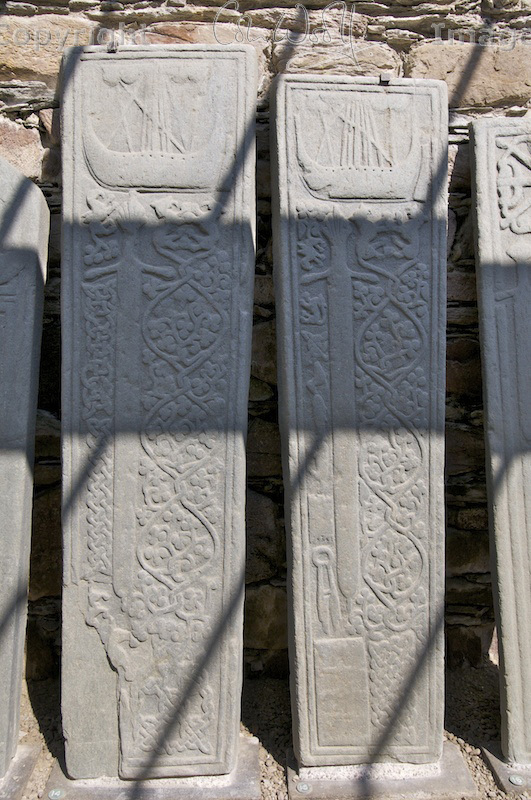 The shorter stones are believed to have been upright grave markers, while the longer ones may have been laid horizontally. I love them for their beautiful simplicity. Along the facing wall are the real showpieces, and these are the work of highly talented craftsmen. 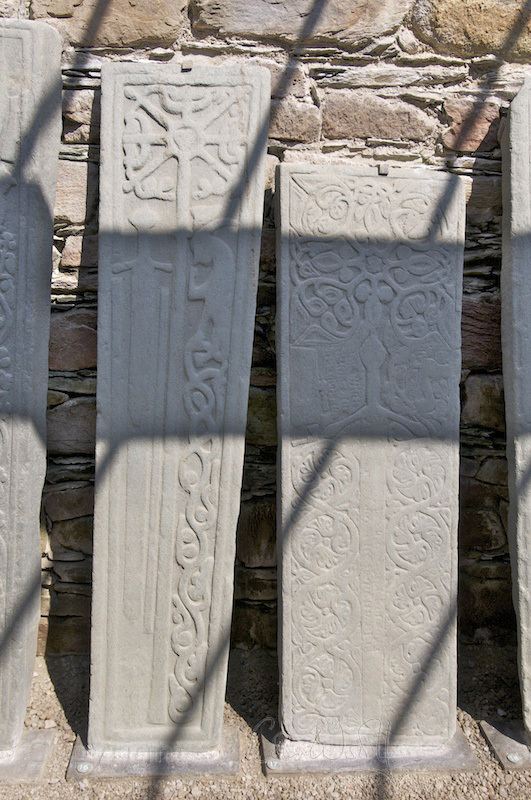 Some of them are believed to have been carved on Iona, while others were carved in Knapdale and further north, by Loch Awe, during the 14th and 15th centuries. Surrounding the human figures are symbols of some of the things that they must have held dear – an otter chasing a salmon, or a dog resting at their feet. At least two knights have a sword by their side, while on other stones the sword itself takes centre stage. 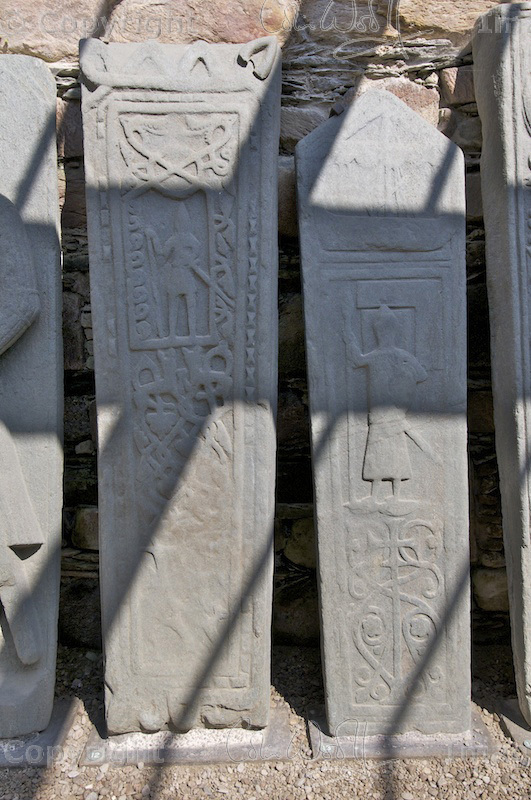 Carvings of galleys in full sail are thought to suggest an allegiance to the Lords of the Isles, while clothiers’ shears, carpenters’ tools, a hammer and an anvil show that these weren’t just fighting men – they had livelihoods and families to support. 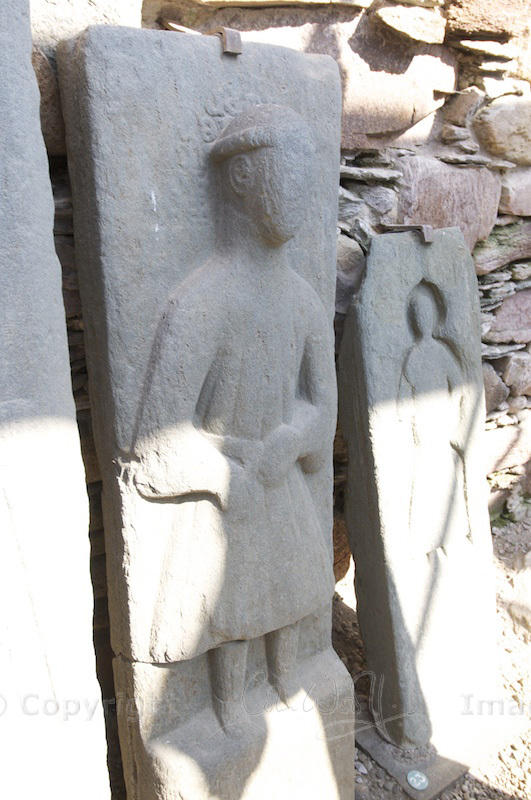 One stone shows a priest praying at an altar: is this one of the earliest ministers of Kilmory? Other carvings are more fanciful and intriguing – a lion biting its tail, a casket with straps, strange animals emerging from the interwoven stems of plants. 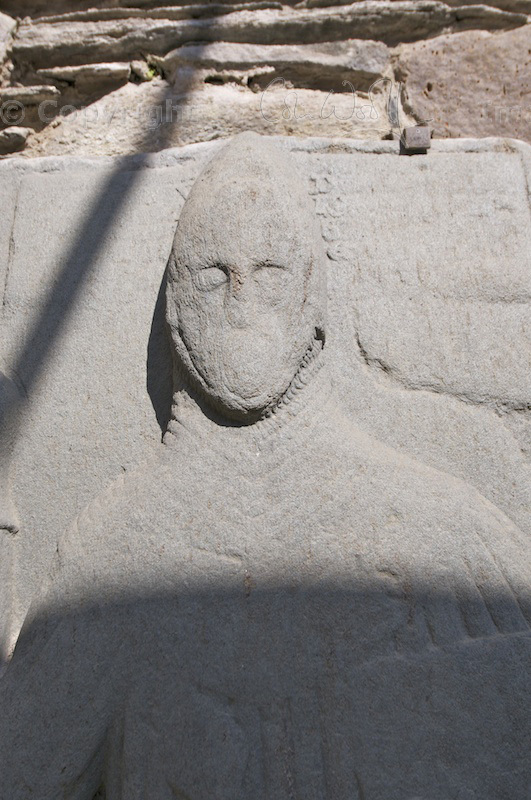 One of the effigies, carved in the 15th century, is unique because it shows a man in civilian dress. The inscription is so worn that we know only his name – Johanes (John) – but he must have had sufficient wealth or social standing to warrant such a stone. It may occur to you to wonder where all the women were buried! 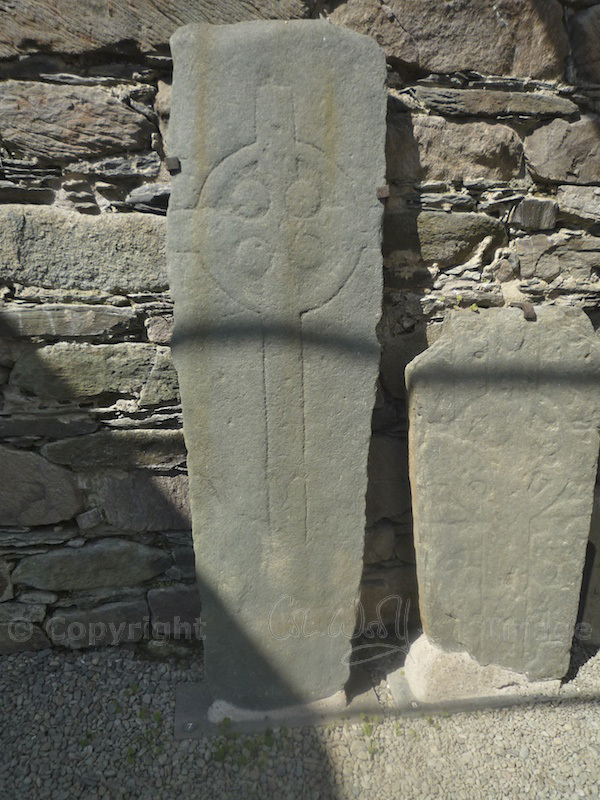 I believe that the grave slabs in fact covered more than one burial, and the clansman’s family – perhaps even several generations – would have been interred next to him in the same spot. But why are they all here, in this tiny chapel on a minor road that leads to nowhere? A notice on the wall suggests a possible reason. 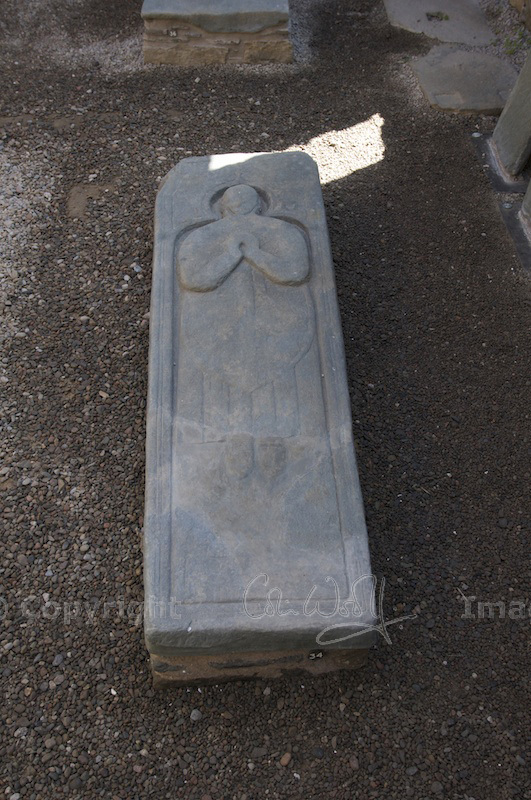 The stone was quarried somewhere on Loch Sween, possibly a little further up the coast, and there were expert stonemasons on hand at Iona and elsewhere. 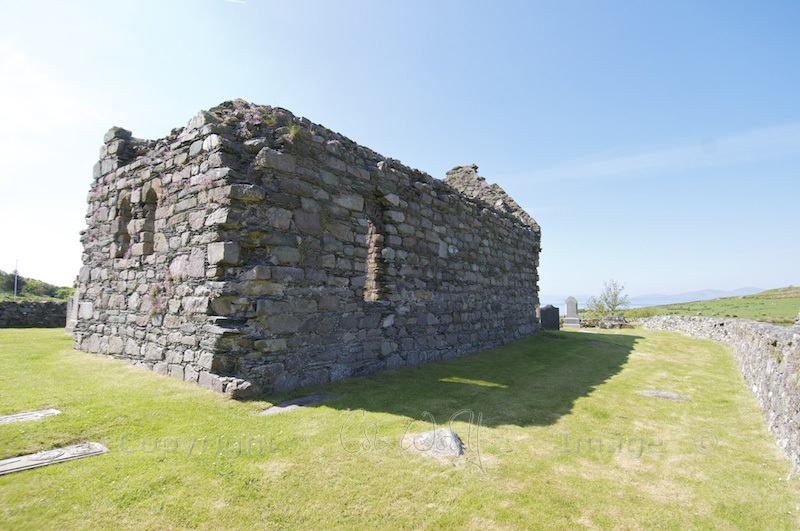 Other little chapels dating from the same period are dotted around the coast of Argyll and the islands: there is, in fact, one on the opposite shore of Loch Sween, at Keills. And, although the location looks remote to modern eyes, by sea it was just an afternoon sail from many of the islands and castles further up the coast. The lighting inside the building must, in its heyday, have been diffuse to say the least. The only daylight came through small windows in the eastern end, and the rest of the room would have been in semi-darkness. 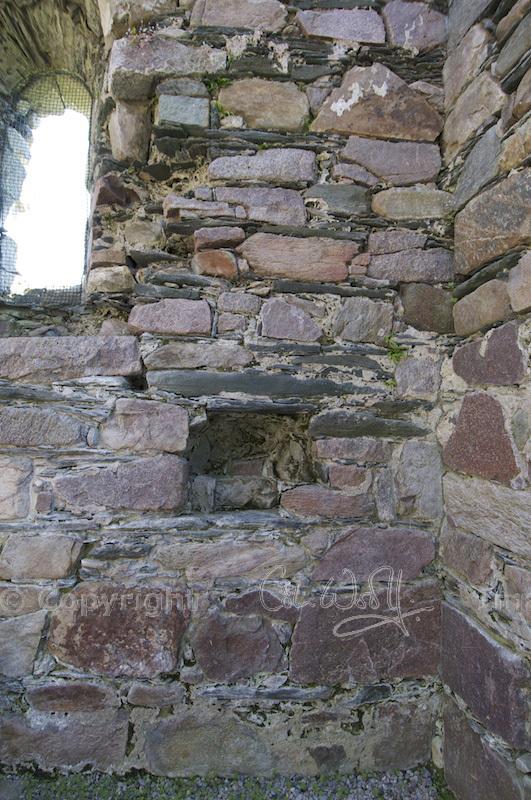 Judging by the illustration provided by Historic Scotland, the original roof would have been slate, and the walls were rendered. The structure has had little or no alteration over the centuries, which is remarkable in itself. The chapel fell into disrepair after the Reformation; when the roof was lost, the interior was used for burials as well. It is only in recent years that the place has been given quite a cleverly designed transparent concave roof, which manages to preserve the outer appearance of the chapel and to protect the stones at the same time. I’m going to break this story into two parts, because there is so much more to tell you: I haven’t even mentioned the stunning MacMillan’s Cross! You can glimpse this in one of the photos above. And there is some more intrigue, which I’m still looking into. I love a little bit of intrigue! Click on the image on the right to read Part Two. Meanwhile, here is the beach at Kilmory Bay which lies just below the headland. 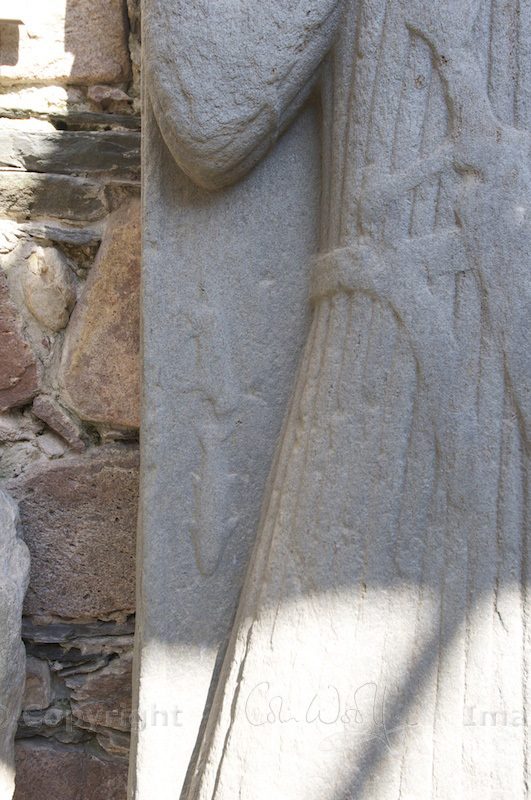 I always thought that St Columba had the best sand at Iona, but St Maelrubha didn’t do too badly for himself, either! It makes me wonder what were the real criteria for choosing these holy sites: did these missionaries go around solemnly pointing and wisely nodding to their followers, but with one eye fixed secretly on the beach? Absolutely amazing! 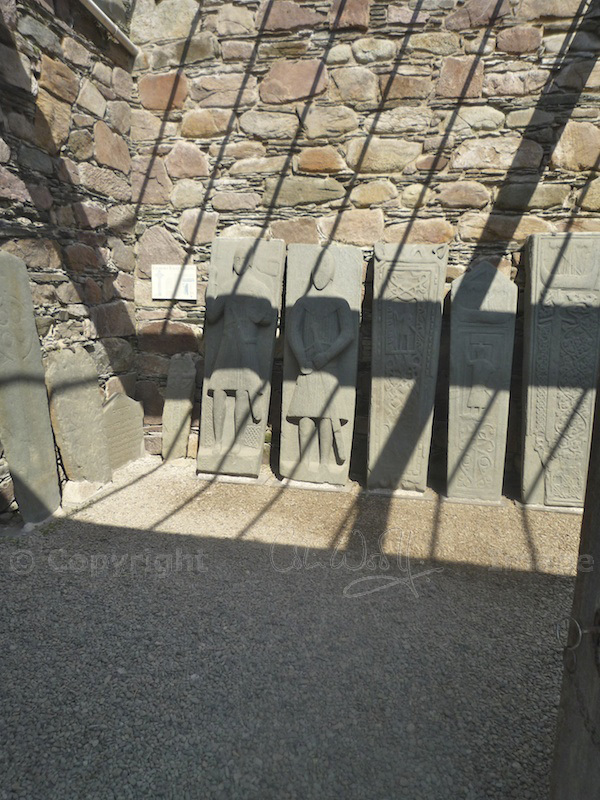 It’s surprising to me that all these incredible stones are kept here rather than somewhere like the National Museum of Scotland, but I think it’s great that they’ve been allowed to stay here. I love all the photos (the weather looks superb! 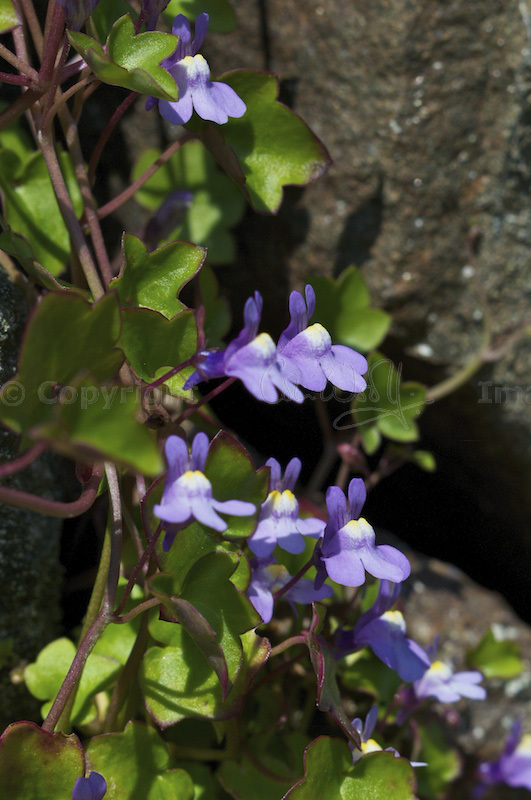 ), but that second one is magical with the wooden door and ivy leaved toadflax peeping out of the stonework. I can imagine your jaw must have dropped when you pushed the door open, I would love to see this for myself. Was the key in the lock, or did you have to get it from somewhere else? Isn’t it incredible?! You can just imagine the excitement! One of the most wonderful places I’ve visited. I agree that it’s so good that the stones are allowed to remain here, because it’s their rightful home. The key was in the door already – with a small notice reminding you to lock it again on leaving! 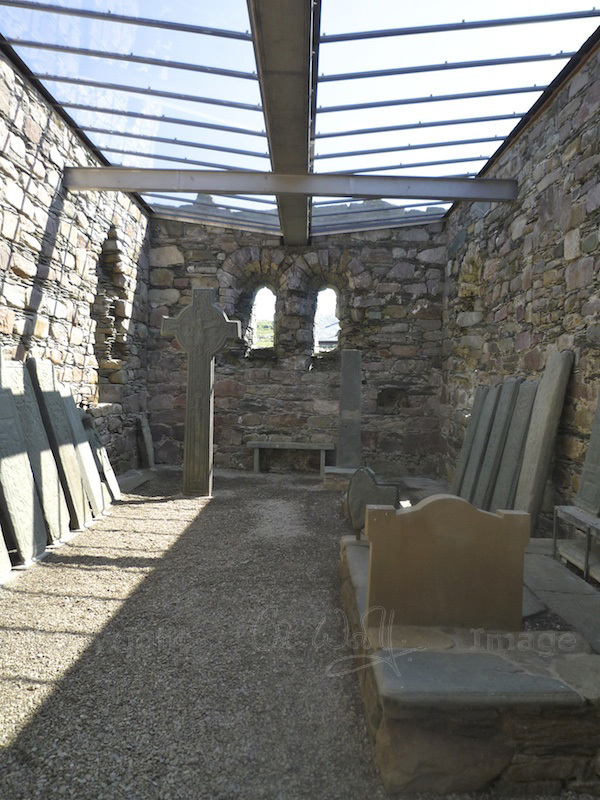 Stunning photos, we choose Keills Chapel, so its been lovely to have been on a tour with your lovely post….many thanks for sharing. Thank you, Lynne! I’d love to visit Keills, and I’ve already been reading about it. The coastline around there is so long that you could spend a whole day just mooching about between chapels! I was disappointed to find out that we’d missed a cross-engraved stone which stands on its own in a field close to Castle Sween. Next time, perhaps! Thank you for the warning, Lynne, I will remember that! Sounds like a real adventure! Breath-taking. I so want to go there now. What a beautiful spot and I always take special note of doors so this door is pretty amazing. The other-worldiness that you talk about – the breeze from the water, the way the light shines and the peacefulness … reminds me of Iona, which I am totally inspired by. Thanks for all the time and effort you have put into this post. I’d like to reblog/provide a link on my blog to here if you don’t mind. I would like to share the information and pictures you’ve provided; it’s really terrific and definitely worth sharing. Thank you very much! I’m glad I have inspired you to go there – I’m sure you would love it as much as I did. I would be flattered if you would like to either share a link or re-blog it – thank you for asking. 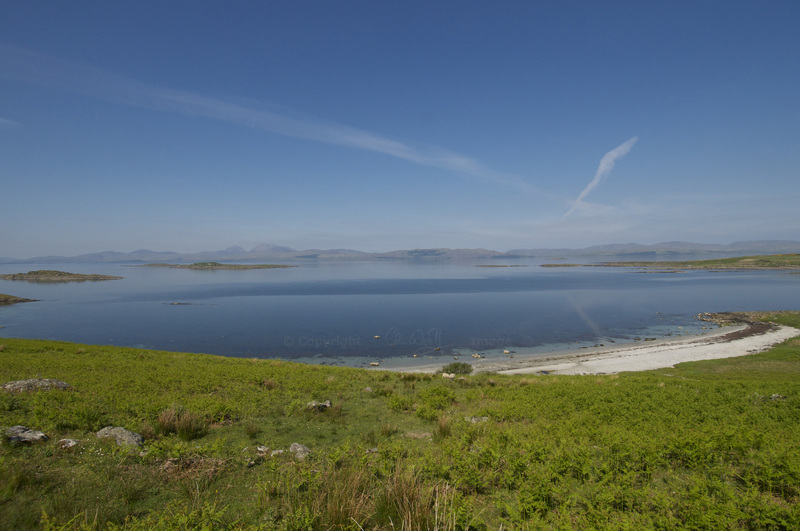 Kilmory has a similar atmosphere to Iona, perhaps not quite so serene – Iona does truly feel ‘blessed’ in a way I’ve never experienced anywhere else. And yes, the door was pretty solid and it was very satisfactory to turn the enormous key! 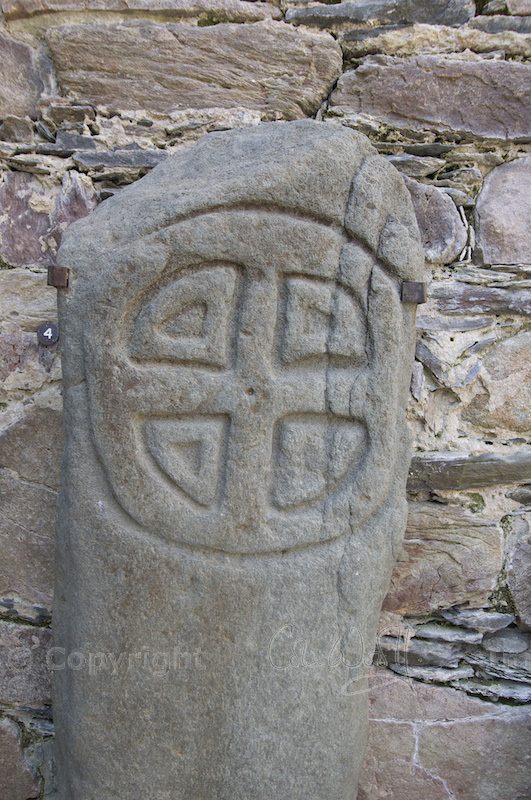 I’ll be posting about MacMillan’s Cross soon, and some of the other stones – hope you enjoy this too! Here’s a great blog post from The Hazel Tree. I loved the pictures and I appreciated the amount of work that went into researching this quaint and atmospheric chapel on the West Coast of Scotland. Totally fascinating and I love the doorway in the second photo! 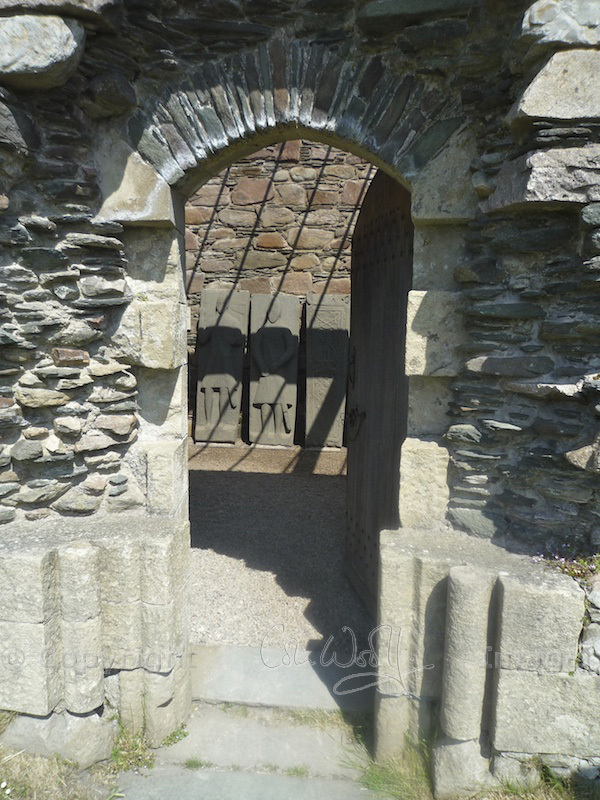 Glad that you enjoyed it – I loved the doorway too, it was so picturesque! While I am not a Christian, small churches like this appeal to me because they reflect a time or at least an area of the country, where Christianity was a simple thing in one’s life. While I’m sure grand cathedrals have their place – fulfilling the spiritual needs of hundreds in larger cities – they tend to be ornate and in some respects gaudy. A simple, basic relationship with whatever Higher Power you believe in is what it should be about. As always, I thank you for sharing your beautiful photographs and wonderful history of your country. You’re right – there’s something very simple and pure about these lovely little chapels that really speaks to your soul. I just love them. Thank you for your lovely comment! Hello Jo, I’ve come here from Journeys to Scotland (but do I know you also from Lorna’s blog?). This is such an atmospheric post, thank you! I felt as if I was there. What a beautiful day you had. 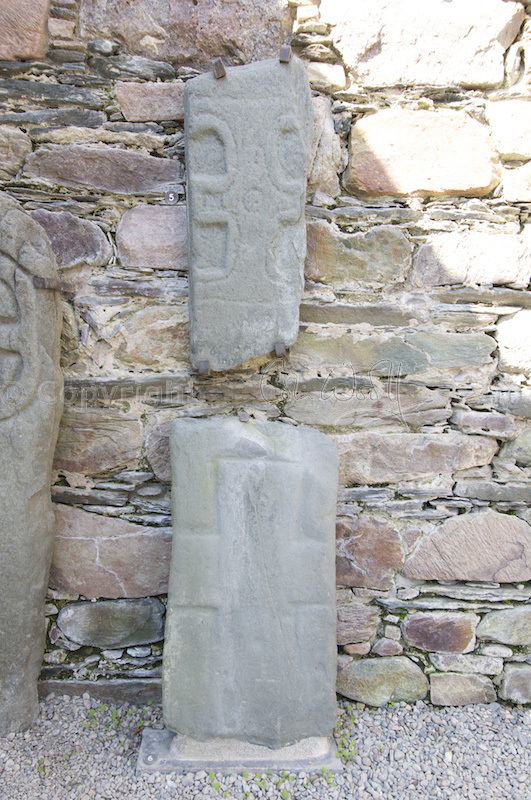 This chapel reminds me of a tiny chapel near Northton in Harris, and the carvings are very like ones at the church at Rodel, Harris – I think there are longboats on similar slabs there too. I suppose since the sea was the highway for people in those days, it made more sense to build in places that to our car-driving mentality are remote. That beach is gorgeous, too. Just yesterday a church friend told me I absolutely must go to Iona, and she mentioned the amazing white sands there. Hi Christine, thank you very much for visiting and for your lovely comments! I follow Lorna’s blog and Journeys to Scotland too, both are great blogs. You have made me want to go back to Harris! The more I look, the more chapels keep appearing! And they are all so beautiful. I would love to have seen a fleet of those long boats at sail – what an amazing sight that would have been. Your friend is absolutely right – Iona is a place to be experienced at least once in a lifetime. There is a sense of serenity on Iona that is like nowhere else I’ve ever been, and the beaches are out of this world! You can see some photos in this post on my other blog, Jo’s Journal: http://jowoolf.wordpress.com/2011/04/28/28th-april-pilgrimage-to-iona/.